Losing a loved one can be a very traumatic experience. The constant reminder of their demise exists in the remaining bills whether they are from medical expenses or funeral costs. Fortunately, each state has similar laws that allow compensation to be collected in the event of a wrongful death. Different states have their own regulations on the people who may recover damages, but there are laws in place to allow such a recover. Although there may be limitations to the compensation amount a person may recover, there is also a distinction between recovering losses of an estate and a family-member’s right to damages of their passed away relative. How can wrongful death happen? Wrongful death can occur in several ways including a drunk driver auto accident, a negligent surgeon, or an unsafe environment just to name a few possibilities. Generally speaking, wrongful death happens when an individual has no lawful justification for causing the death of another person. Essentially, wrongful death is “a cause of action for the death of a person caused by the wrongful act or neglect of another” that has fatal results to another person. 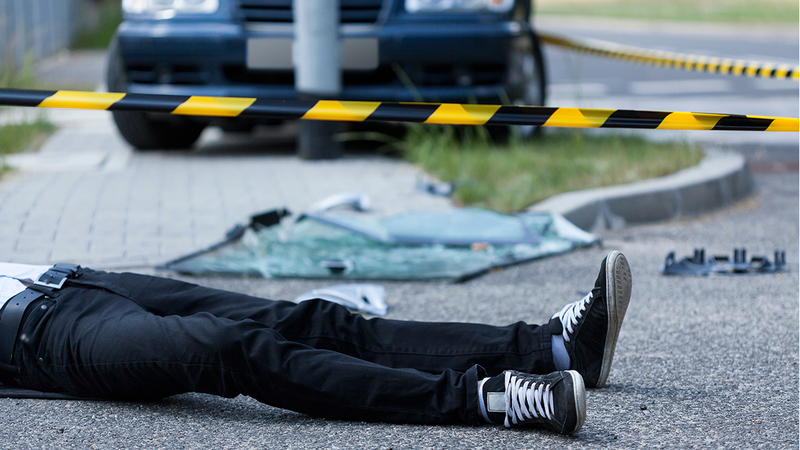 It is common for a wrongful death suit to be filed against a person whose reckless and negligent driving habits caused the death of another person. For example, running a red light, speeding, and being distracted by a cell phone can all be considered in a wrongful death case. In these cases, a person may have liability coverage on their auto insurance, which will allow for the pursuit of damages made up to the policy limits of the driver’s insurance policy. However, many drivers today have what is considered “umbrella coverage,” and that can be used to cover damages for a death caused by the guilty party. Essentially, a person can be deemed responsible for the death of another person if the actions by the at-fault driver were considered negligent, reckless, or careless conduct and where these actions were the deciding factor in the death of the victim. Medical malpractice in a wrongful death case is typically caused by doctor or physician’s negligence or carelessness. This can be the valid when a doctor fails to diagnose a medical condition that was treatable. Other examples include: birth injuries, misdiagnosis, surgical errors, and even suicide from dangerous drugs. Additionally, prescribing or administering the wrong medication can also result in a wrongful death case. In fact, health care providers can be held responsible for any situation in which the healthcare professional acted negligently or whose acts fall below acceptable care and resulted in the death of a person under their care. Property owners and managers have a responsibility to maintain safe premises, regardless of the presence of invited and uninvited guests. When a person is injured because of the negligence of the owner or managers, they may have grounds to pursue compensation for their injuries or in the event of a death. In typical cases, homeowner’s insurance or premises liability insurance may cover wrongful death claims. Anything from a fall to a falling object can cause a death, and it is the owner and manager’s responsibility to maintain a safe environment. Can I still be compensated if my loved dies in another country? International acts that causes fatalities are a touchy subject, and we don’t normally handle those types of cases. However, to answer the question, a person may or may not have a chance at recovering compensation for the death of their loved one, depending on the situation. At this time, we must consider if the act is a “wrongful act,” which includes deliberate or reckless conduct, and a fatality as a result of self-defense would not be considered a wrongful act. Furthermore, a murder that occurs in another country falls under an international tort (wrongful act) in which the wrongdoer may be sued for compensation, depending on the situation. Unfortunately, most insurance companies do not generally cover losses that resulted from an international tort. Although these just a few of the causes of wrongful death, there are many situations that may cause these unfortunate events. At One Law Group, we are here to assist our clients recover damages for the loss of their loved ones in a wrongful death claim. We are experts at investigating and researching wrongful death claims, and we pride ourselves on helping our clients in any way possible. If you feel that your loved one passed away as a result of the negligence or careless acts of another person and you feel that a wrongful death claim can be made, we would like to speak with you. For more information on a wrongful death claim, contact our Beverly Hills office at (844) 626-1LAW to schedule a free consultation today. Call (844) 626-1LAW and speak with the Beverly Hills wrongful death attorneys at One Law Group and get the help you need today.